Earthiness mix Czech glass seed beads in mini hank, size 11/0, pre-strung. Hank consists of six 20-inch loops, tied together! 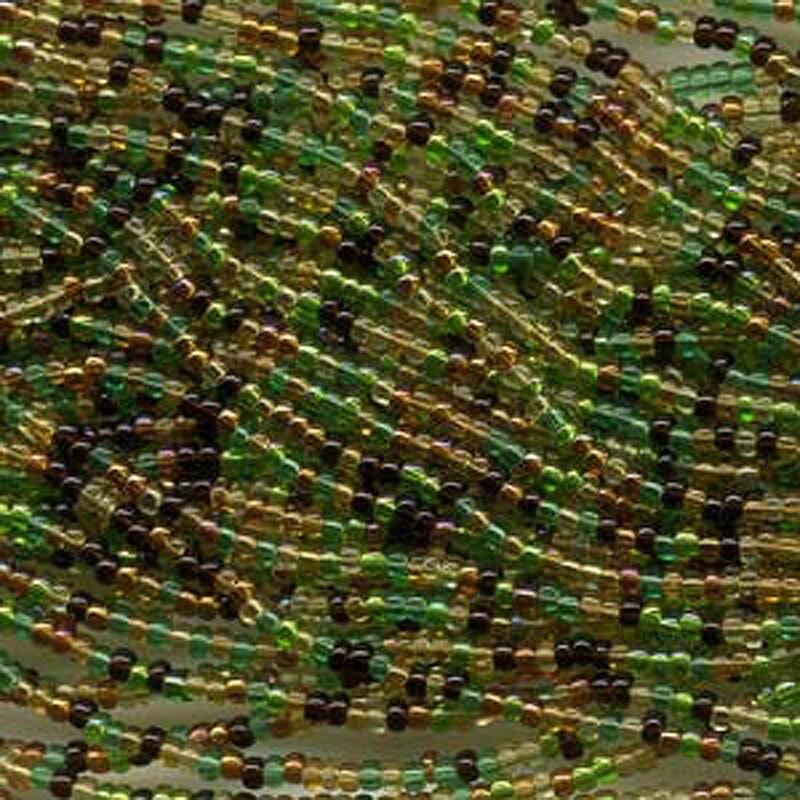 Mix of earth tone colors of size 11/0 Czech glass seed beads. Colors include green, golden topaz, brown, and amethyst. Great mix and price! 17 grams.